Our 8ft booths and backwalls make it easy to impress your audience at any trade show or event. 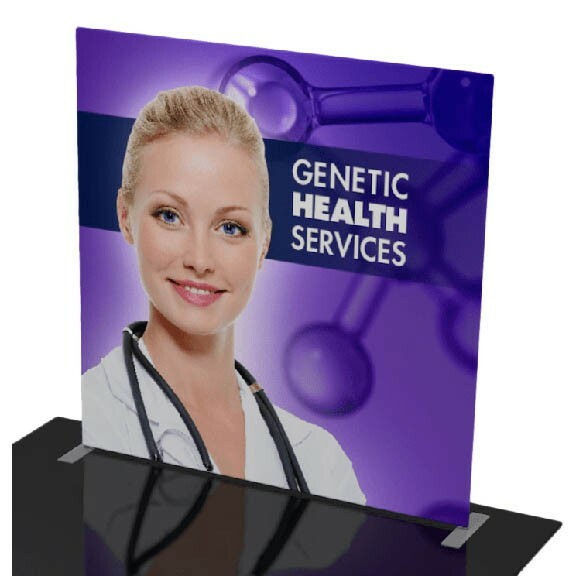 Add an accessory like a counter or literature rack to turn it from a backwall to a complete trade show booth! 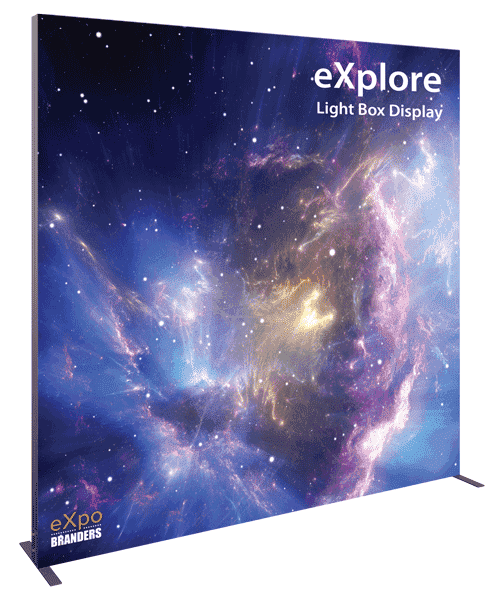 Put together 3 banner stands to make a larger back wall that nicely fills an 8ft or 10ft booth space, as well as a great backdrop for table top events. 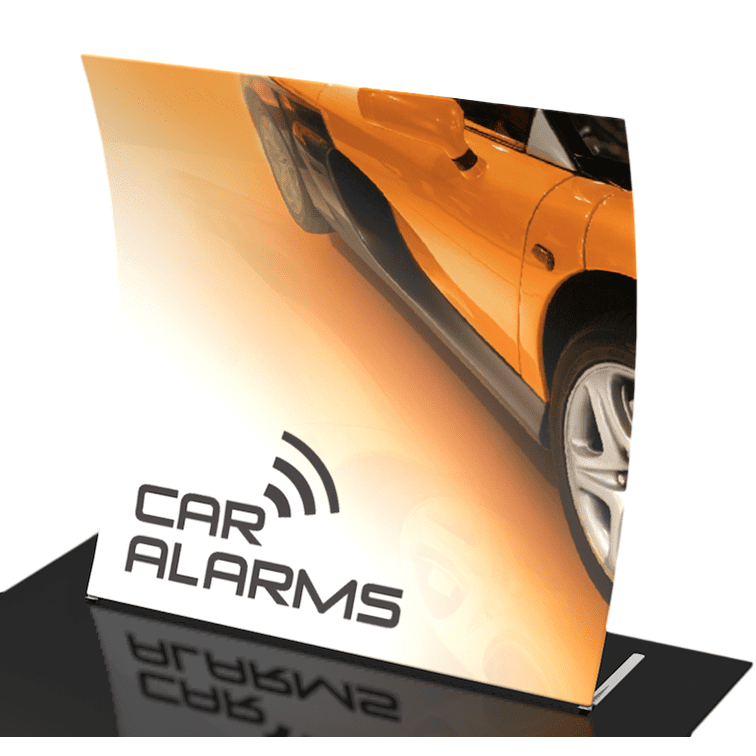 Retractable banner stands are up and ready in seconds and are easy to transport to and from a trade show! 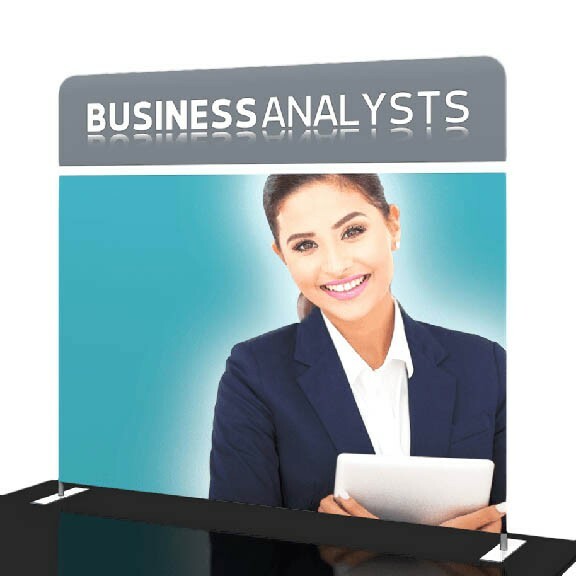 This economy stand and vinyl graphic can be printed with the classic step and repeat pattern for photo ops at an event. Need it fast? Order by 10am and receive it next day! Also available as a Step & Repeat Wall. 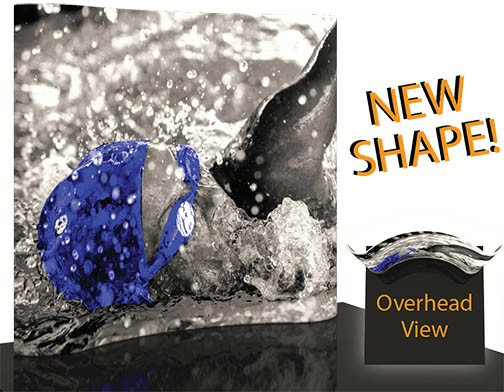 This easy-to-set-up tension fabric back wall comes WITH THE GRAPHIC ATTACHED for a sleek, professional back wall that is up in seconds! Also available as a Step & Repeat Wall. 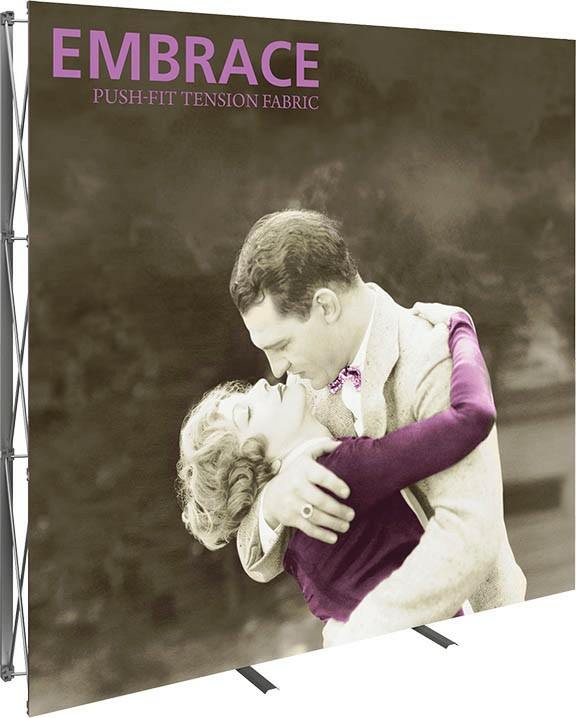 Our Embrace line of modular SEG push-fit fabric backwalls come with a collapsable frame for easy travel and storage. You can build them as high or as wide as needed for any trade show event! 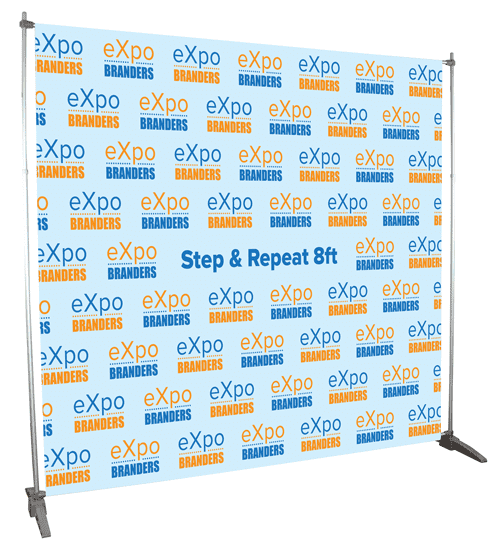 Stretch fabric, simple, straight backwall with rounded corners and bungeed poles. Smooth, professional, and easy to set up! This 8ft horizontal curved economy stretch fabric wall will invite them into your space! 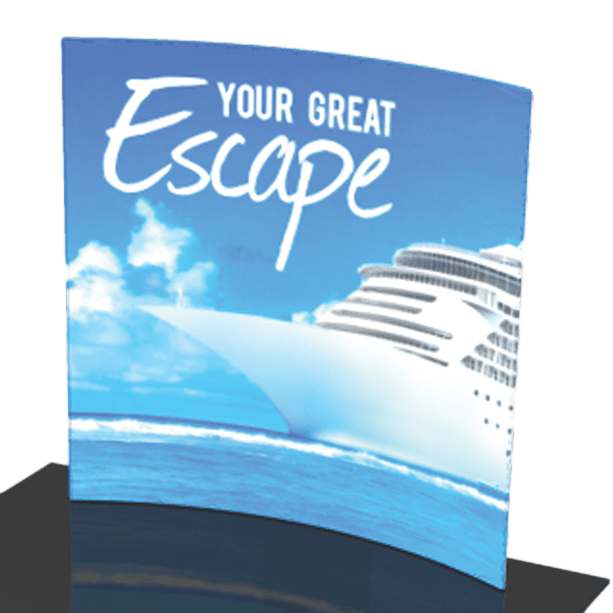 A simple, straight fabric backwall with sharp corners and pillow case stretch graphic. A sleek vertical curve backwall with sharp edges and rear stabilizing feet. Stand out with this modern curve shape! Should I buy an 8 ft back wall or a 10 ft back wall display? 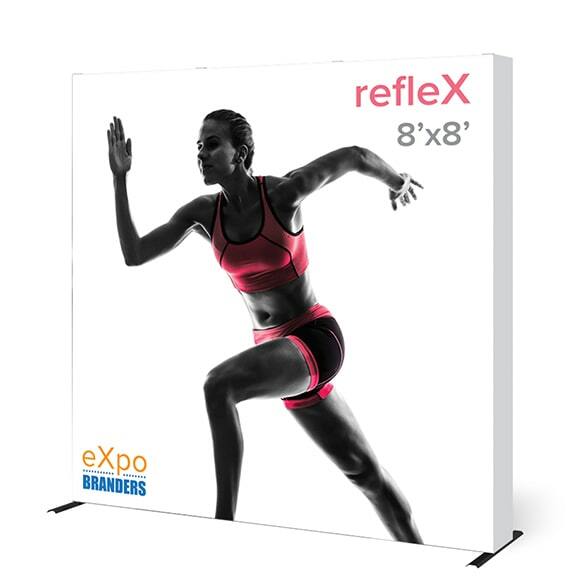 The standard US size for trade show exhibit spaces is 10ft x 10ft. 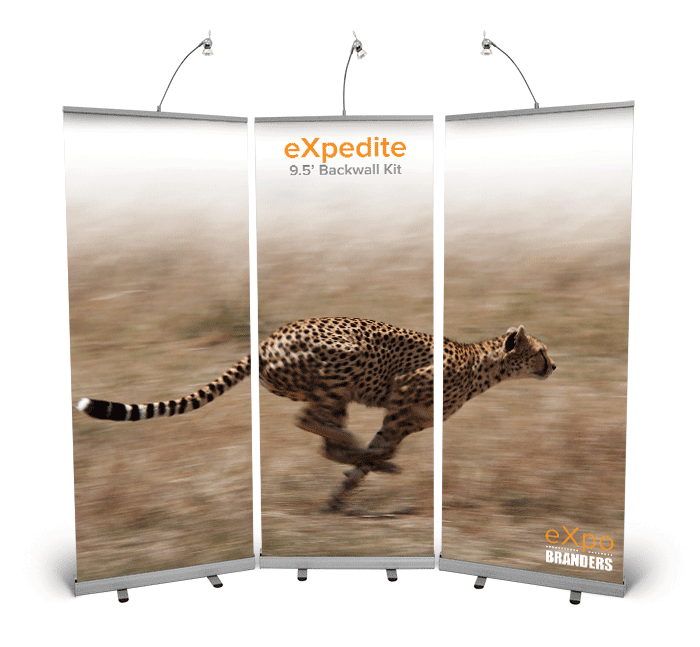 Since all of our displays are sized just slightly below their stated width (8ft displays are about 7ft 8in, 10 ft displays are about 9ft 8in, either will work nicely in your reserved exhibit space. If you plan to attend smaller, table top events, an 8ft back wall may be the best fit for both options.